Today’s guest coffee mug is from Dana H. (@TheDragynsLair), the owner of The Dragyn’s Lair. 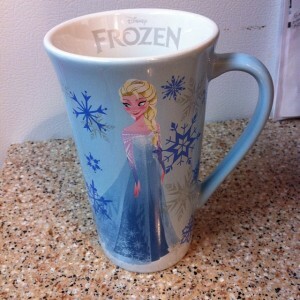 Dana stated “Here is my brand new Frozen Elsa mug! I am obsessed with the film and wanted to own some merch before it sold out.” I do agree with Dana in that the Frozen merchandise is wonderful.